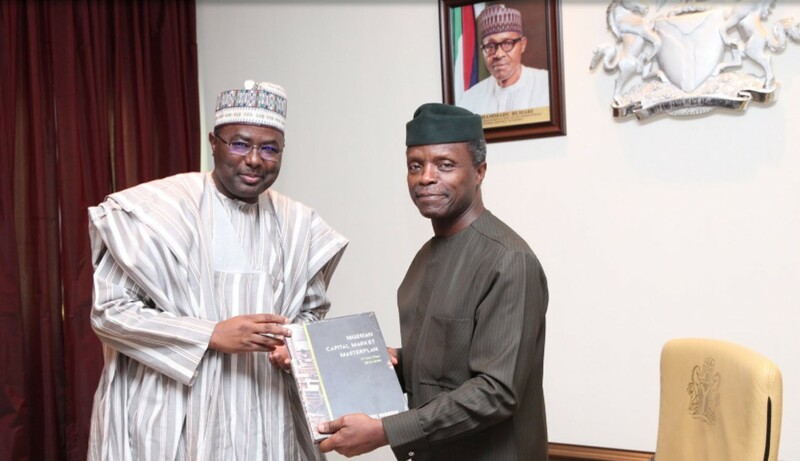 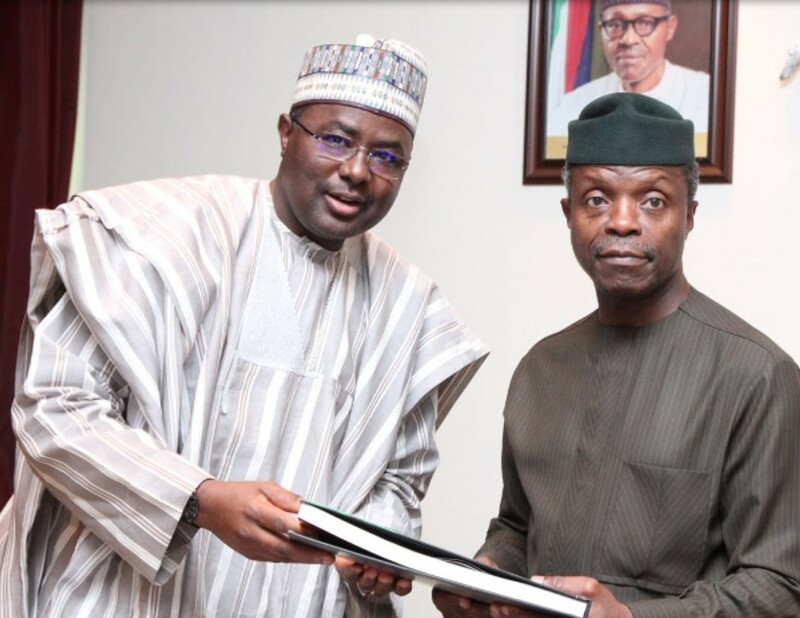 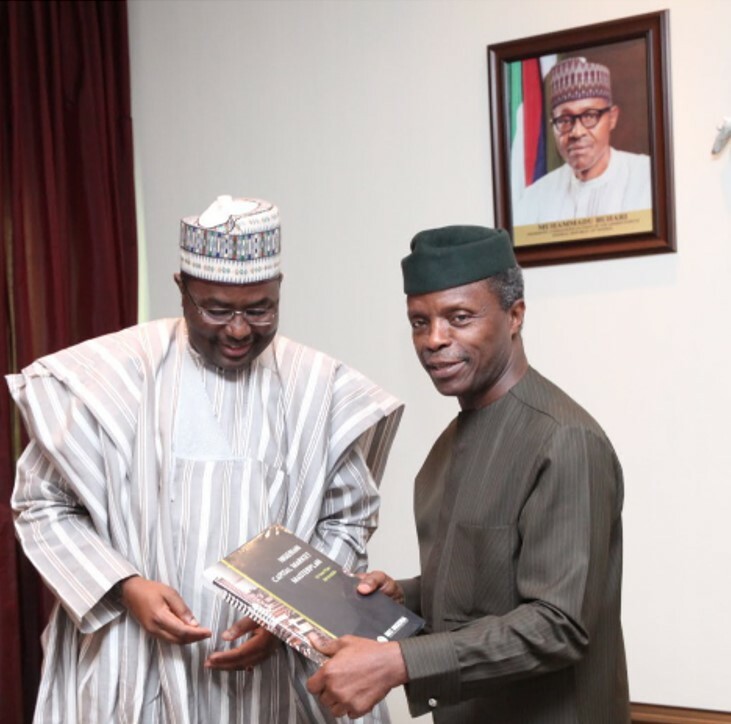 SEC DG, Mr. Mounir Gwarzo led the Executive Management Team on a courtesy call on Vice President Yemi Osinbajo at the Presidential Villa in Abuja. During the meeting, Mr. Gwarzo briefed the Vice President about ongoing market reforms spearheaded by the SEC. The SEC DG also informed the Vice President of the upcoming inauguration of the Capital Market MasterPlan Implementation Council, the launching of the Corporate Governance Scorecard and the inauguration of the Investors Protection Fund.